Going to Redwood Christian Middle School/High School is a lot of fun. You get amazing teachers, great students for friends, and most importantly, the fine arts. The fine arts included: Drama, Choir, and Music. 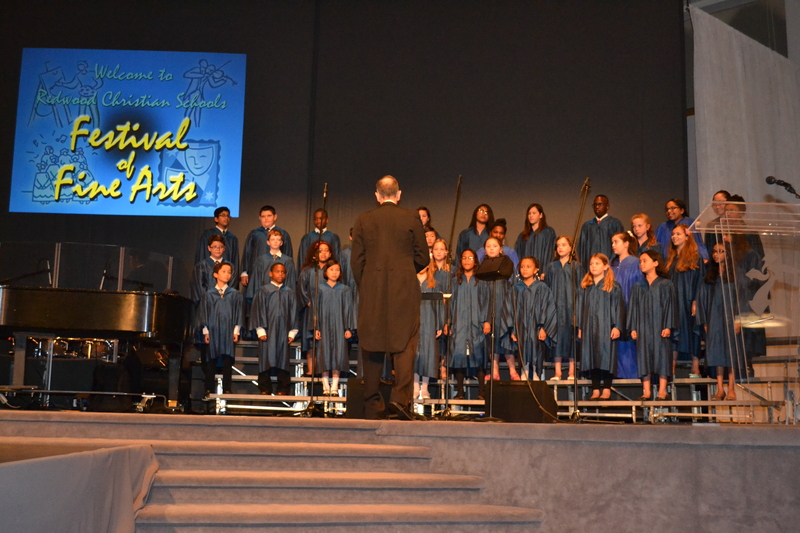 At the Fine Arts Festival at Redwood Chapel, both the Drama, Choral, and Music productions were spectacular! 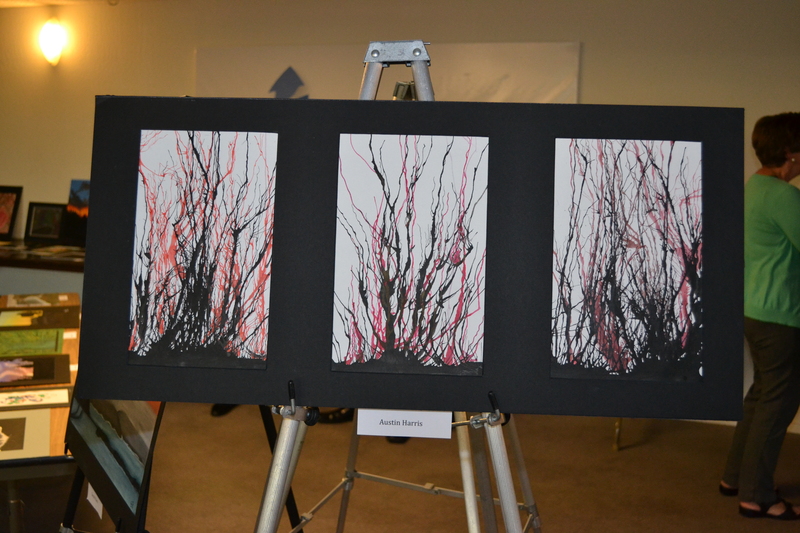 They showed beautiful artwork in the lobby as people walked in, and showed an exciting variety of fine arts during the festival. I loved to see children, as young as second grade, playing their instruments to the tunes of “Alouette,” “Star Wars” theme song, and many more. Mr. Kady, the Redwood Elementary campus principal said that the main purpose of the Festival of Fine Arts is “to glorify God through the musical, dramatic, and artistic talents of RCS students.” 1 Peter 4 reminds us that “As each has received a gift, use it to serve one another, as good stewards of God’s varied grace.” Sometimes it might seem hard to glorify God through the little things, but if we do everything we can for Him, we can show others around us how much our love for God sets us on fire, spiritually. Mr. Kady went on to say that he believes that “those who attend gain an understanding of the high value RCS places on the Fine Arts. The Festival of Fine Arts gives RCS a venue to showcase the talents of our students as well demonstrates the degree of commitment our school places on these co-curricular activities. 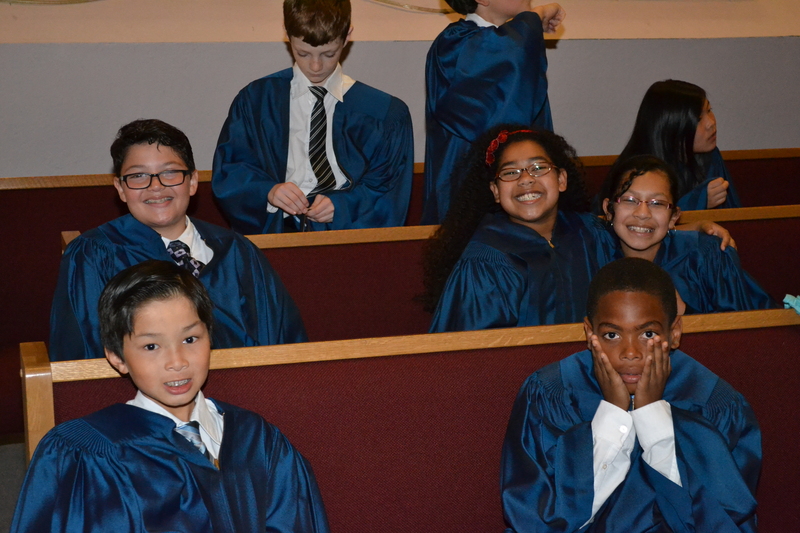 RCS is a school unlike many other, we integrate God into everything, for the students spiritual benefit. * Special thanks to the Choir, the instrumentalists, and the drama team. You all did an amazing job! Also to the directors, Mr. Cagle, Mr. McClure, and Miss Suth. And to the parents. 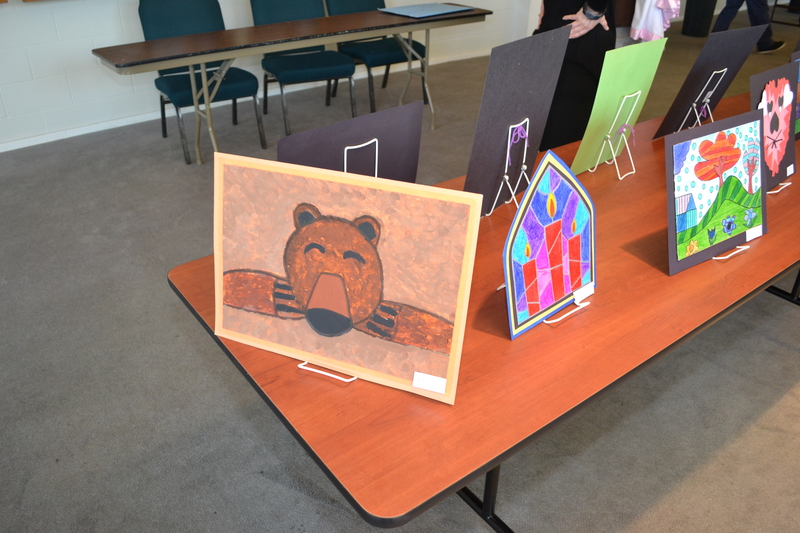 Without your support, the students would not have an enthusiastic approach towards the fine arts. * Very special thanks to Mrs. Fosdahl, the person behind all the photos. She doesn’t get as much credit as she deserves. And finally, Mr. Johnson. He was the one who (literally,) grabbed ahold of America, and told her to write a story about this amazing festival! We’re glad we did! April 10, 2014 in Academics, Redwood Community, Student Life.